1 What is Freeze Frame Data? Most of the vehicles manufactured today are compatible with this system. OBD II means onboard diagnostics. Back in 1970, several automotive manufacturers started using computers to monitor and regulate the powertrain function. This was done as a way of complying with the government standards for controlling new cars’ emissions. OBD2 is, therefore, a set of standards created by SAE (Society of Automotive Engineers) and approved for implementation since 1996 by CARB and EPA. In a Layman’s language, a freeze frame allows you to diagnose any fault with your car and fix it by either addressing the issue or replacing your sensor. Once OBD II freeze frame is available for Diagnostic Tube Code (DTC), you can identify it by a camera icon. It comes with DTC code, description, and status. Click the “View Freeze Frame” tab and a window with detail information, compare side-by-side option, and control reports will open. Compare side-by-side option helps you access data from numerous freeze frame types side by side by splitting your screen vertically. To save time when scrolling through different DTCs to check whether any has a camera icon, ensure View Freeze Frame button is used only when Freeze Frame information is accessible to your DTC. You can also check the freeze frame history which displays your previous data. It is available from the screen on your mobile devices. Refresh the page containing the latest data. View DTC article: opens an All data troubleshooting article hence giving specified DTC. Clear active codes for removing all active codes that your car’s ECU has. You can also use it to reset your emission readiness monitor. So, what is Freeze Frame Data on Scan Tools? Freeze frame data is the data grasped when an issue happens. 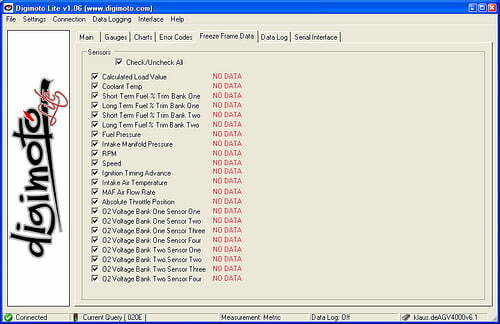 The essence of freeze data interpretation is to give drivers a guideline that helps them avoid duplicating conditions. Many drivers don’t understand the data given, all they want is to have the light off so that they can pass inspection. P0 420 error occurs twice a month and it means readiness codes are reading well. Fuel SYS 1 CL means fuel injection bank is in closed loop mode. Fuel SYS 2 N/A means there is no fuel injector in bank 2. This means it is an inline 4/6 cylinder engine. Load PCT 92.2 indicates that the air entering the engine is below 100%. ECT (F) 221 for engine coolant temperature. Rpm means the RPM (engine) when the data was captured. VSS (mph) 52 indicate your car’s engine at the time information was recorded. The OBDII Freeze Frame system is a very simple and practical diagnostic scanner that meets the needs of drivers of all age brackets and expertise together with their vehicle(s). 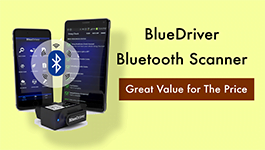 Best of all is the ability to connect to the internet as well your PC hence the perfect product to solve any car diagnostic fault. Thanks Tim, but i really want to know if the bluedriver OBD II will be able to pin point the particular component that is faulty or if it will provide a code that show a faulty component. i9f so i will like to know the diagnostic tool that shows a faulty component in a vehicle. Bluedriver uses the Identifix database that is used by professional shops, which ensures to match your vehicle’s information and the DTCs to a specific fix from the 30-million-fix database.